Chancellor Philip Hammond took a personal stake in a food technology business just a matter of months before it won a £560,000 (US$685,000) share of a government grant. Hammond, who was foreign secretary at the time, bought a 15 percent stake in Hydramach, a food tech firm based in Cambridgeshire, in October 2015, according to records at Companies House. The Telegraph reports the grant came from Innovate UK, a tech startup agency under the Department of Business. The money was given with the purpose of developing low fat and low sugar soups, ready meals and sauces. Hydramach has now withdrawn from the consortium, which includes retailer J Sainsbury and the University of Chesterfield. The tech firm has not received any money from the grants and the first payment is due to be made to the consortium on February 1. 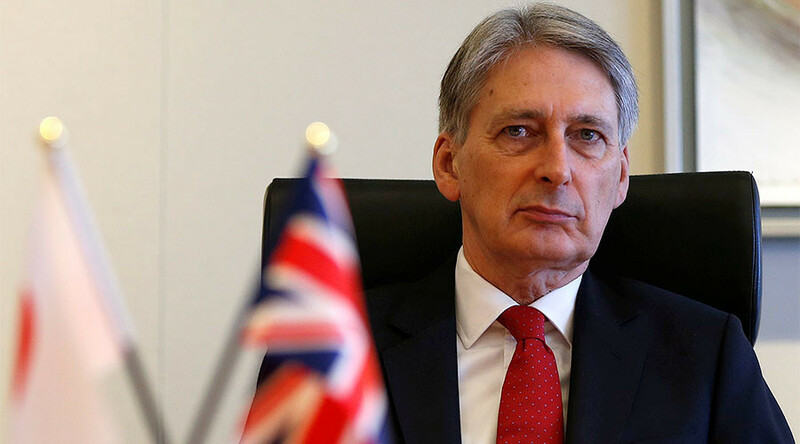 Hammond did not declare the investment in December 2015’s register of ministerial interests, according to the Telegraph. The chancellor only made the investment public in the December 2016 register. It is unusual for a serving cabinet minister to take a direct stake in private companies. A friend of the chancellor told the Telegraph that Hydramach pulled out of the consortium after winning the contract. “Mr Hammond has no involvement in his capacity as chancellor in the process of awarding Innovate UK grants,” the unknown source said.